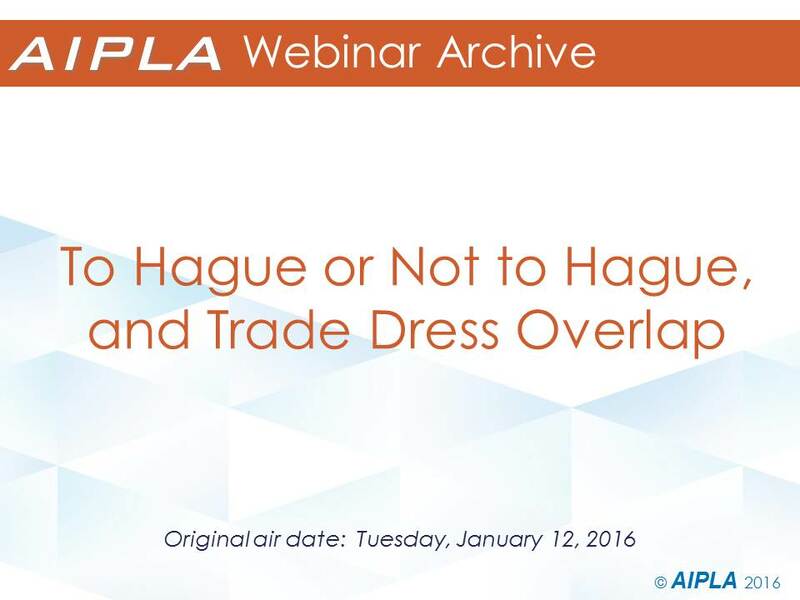 Webinar Archive 5/26/16 - Are You Ready for the Defend Trade Secrets Act (DTSA)? $95.00 - Webinar Archive 5/26/16 - Are You Ready for the Defend Trade Secrets Act (DTSA)? 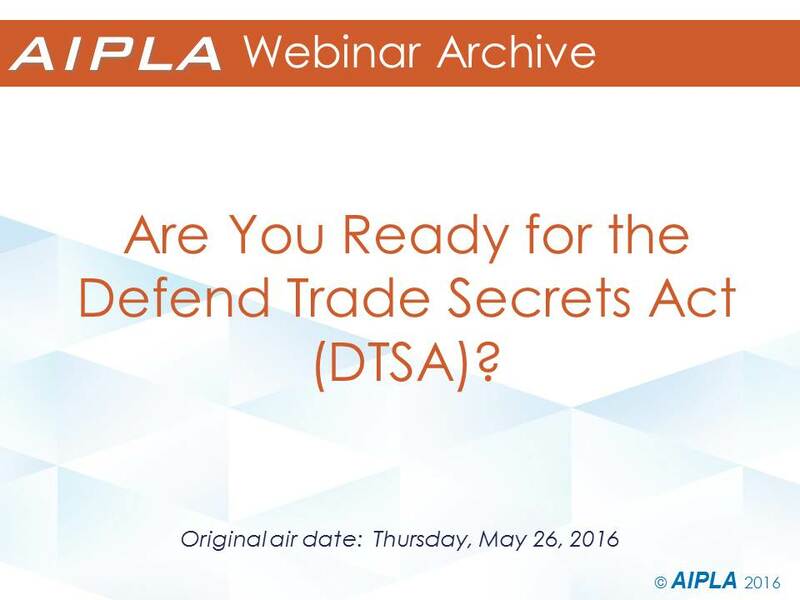 $45.00 - Webinar Archive 5/26/16 - Are You Ready for the Defend Trade Secrets Act (DTSA)? Original air date: May 26, 2016. The imminent "Defend Trade Secrets Act of 2016” (DTSA) creates a federal civil remedy for trade secret misappropriation. 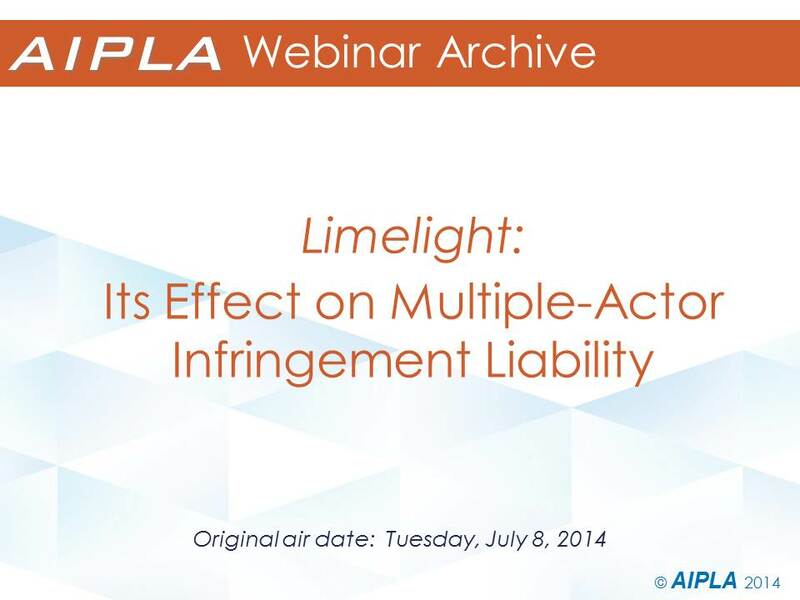 This webinar will cover what practitioners need to know and do now regarding the recently-enacted DTSA. Because it adds federal jurisdiction as an option, the statute creates opportunities and uncertainties around how and where to file litigation, as well as how to deal with combined state and federal claims. The speakers will identify strategies and tactics for dispute resolution as well as advance planning, including managing contractual relationships with co-developers, vendors and others who share confidential information. The speakers will also address the special provisions of the DTSA that affect employee mobility and whistleblowing, including why and how employers should immediately modify their employee secrecy agreements. Speakers: Russell Beck of Beck Reed Riden, LLP; John Marsh of Hahn Loeser; and James Pooley of James Pooley, a Professional Law Corporation. Webinar Archive - 1/20/15 - Improving written and oral communication skills for success.